NZD is acting weaker than USD due to the oil price. 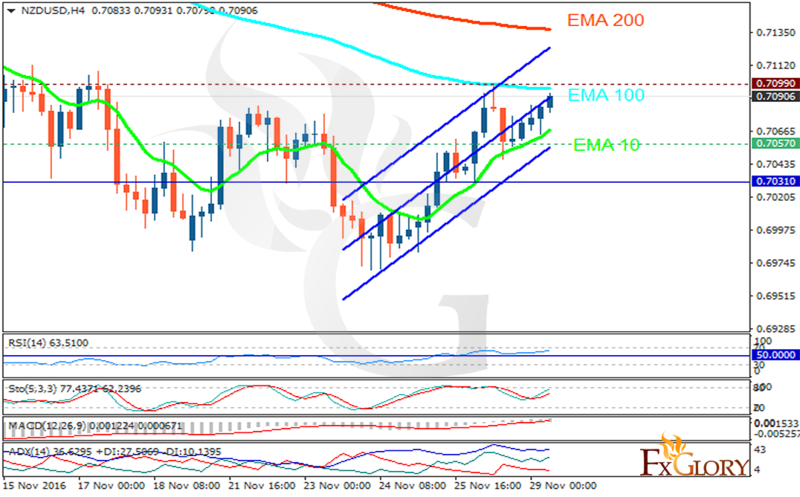 The support rests in 0.70570 with resistance at 0.70990 which both lines are above the weekly pivot point at 0.70310. The EMA of 10 is moving with bullish bias and it is located below the EMA of 100 and the EMA of 200. The RSI is growing towards the overbought area, the MACD indicator is in neutral territory and the Stochastic is showing upward momentum. The ADX is showing buy signal. The chart seems bullish at the moment however pullbacks are happening at any time soon.